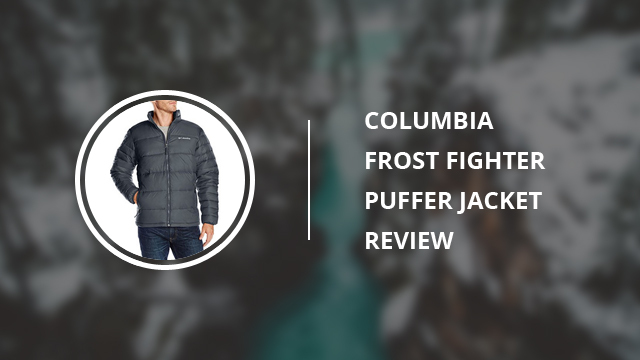 Continuing with another men’s jacket single review, we have picked Frost-Fighter by Columbia. In the (unlikely) event that this is the first time you have come across Columbia, this American brand has all you’d ever need for a great time outdoors. With high performance in mind and clothes that withstand any weather and environment, it is most certainly a brand you should know about. They design some of the most versatile outdoor clothing, all of which are tried and tested to guarantee that you will only get the very best the brand has to offer. Such is the case with Frost-Fighter, a puffer jacket that you are going to love. Frost-Fighter is a puffer jacket designed for harsh winter days. 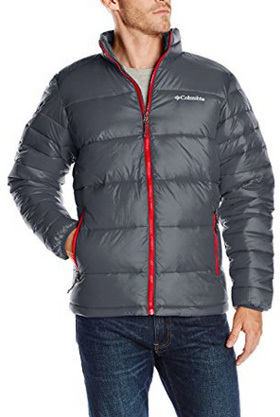 Whether it snows or freezes where you live, this jacket does not mind. It comes with faux down insulation, which performs just like the real deal. We have gone more in depth in previous articles about the difference between real and faux down, but just to summarize, it all comes down to wetness. If it rains and real down filling gets wet, its insulation abilities are rendered almost completely useless. Faux down, on the other hand, does not have this issue in the least. This is also important since this is a water-resistant jacket, which means that there’s a risk of water getting through if you are caught in heavy rainfall. The reason this jacket is not completely waterproof is due to the breathability of the shell, which helps to prevent overheating. Considering that it also comes without a hood, we would recommend you wear this jacket when it’s dry outside. It comes with a high collar and elasticized cuffs, both of which help to further insulate the jacket and protect you from the elements, especially cold wind. 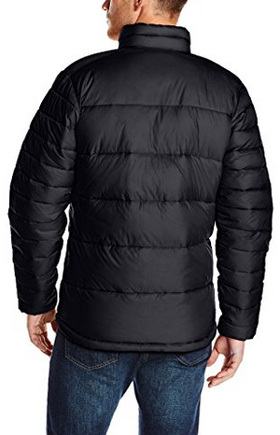 It is a regular-length jacket, which is quite practical if you need to move around a lot during the day, or just aren’t a fan of long winter jackets. There are two side pockets, which are lined to keep the hands warm and close up with zippers. The main zipper is uncovered but highly resistant against wind and water. Style-wise, it is very casual and can be worn everyday, even for work as it provides plenty of room, comfort and comes without flashy logos. The shell is made of 100% Polyester and the lining is Nylon. This is done to provide better weather resistance and also add to the strength and durability of the shell. This way you can wear this jacket on your next camping trip without worrying about it getting damaged. As for the faux-down insulation, it is 100% Polyester. Now, the main feature is the quilting, which helps evenly distribute the filling to provide perfect insulation and no blind spots. When it comes to Columbia’s jackets, the color selection is always interesting as this brand loves colors and provides plenty of options. With over 500 online reviews and high ratings, we are in for a treat. These high ratings are to be expected when it comes to Columbia so let’s see what these reviews say. First of all, this jacket looks and performs exactly as it claims to do. The colors are rich and the quality of the fabric is indisputable. Despite being a short winter jacket, it fares without any issue in below 0°C temperatures. It maintains body warmth flawlessly, without being too stuffy and bulky. The size chart is quite accurate, too, so considering how much you prefer layering underneath, choose the size accordingly. The only minus, to some of the reviewers, is the lack of a hood. But this can easily be solved by putting on your favorite beanie and you’re good to go. As you saw from our review and online buyers, Columbia’s Frost-Fighter will deliver exactly what it promises: quality, performance and comfort.